Pain is the most prominent symptom of Fibromyalgia. It usually affects the entire body, although it may start in one area, such as the neck and shoulders, and spread to other areas over a period of time. Fibromyalgia is a form of generalized muscular pain and fatigue. The name, Fibromyalgia, means pain in the muscles and the fibrous connective tissues (the ligaments and tendons). Have you suffered with fibromyalgia for a few months, a few years, or too many years to mention? 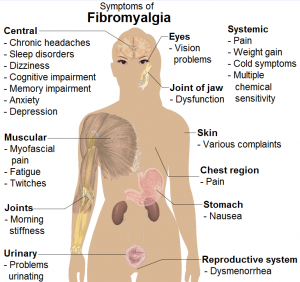 Some may suffer only minor symptoms, while others (perhaps you or a loved one) feel the debilitating affects of Fibromyalgia and are kept from participating in their life, making even simple daily activities almost impossible. Throughout my years in practice I have tried the full range of therapies and treatments available to me, with minimal improvement. I knew there had to be more, a method of treatment that could help them (and you!). I began searching to find the answer….and then….I found it. The answer to helping most Fibromyalgia symptoms: Johnson Brain-Based Therapy, combined with metabolic testing and treatement. The term I give these combined treatments is Johnson Neuro-Metabolic Therapy which is a combination of functional medicine, integrative medicine and functional neurology. Johnson Neuro-Metabolic Therapy is the newest, state of the art diagnostic and treatment technique. It brings together research findings from the fields of psychology, neuropsychiatry, neurology, neurophysiology, and nutrition — and uses this knowledge to bring hope to the sick, unhappy, and hurting of all ages…and we have finally been able to help people with Fibromyalgia and many other chronic symptoms. "I'll Never Be Able to Thank You Enough, For Everything You Gave Back To Me"
Yes, for most people the answer is really that simple: Johnson Brain Based Rehabilitation. For others a more comprehensive approach is necessary. I have prepared a video you can view that explains my exclusive process. Just click on the big button below to register for viewing. Treatments can include one-sided adjustments, simple exercise, eye exercises, heat and other activities, all while on oxygen. These techniques coupled with a full neurological and nutritional workup have enabled us to help most of our patients to get rid of their chronic symptoms no matter how long they have been experiencing them. For more details see the Johnson BBT page. Imagine how different your life would be if you were free from the burdens that your fibromyalgia causes you. Check out the video and audio testimonials - real people getting real results resulting in a new lease on life. No matter what the condition, it is imperative that a thorough functional neurological exam is completed to determine the exact neurological nature of your condition. For more information on what a case review is, please see this page. For more information or to see if you might be a candidate for these breakthrough treatment programs give us a call at 586-731-8840 to schedule an appointment for your fibromyalgia case review. 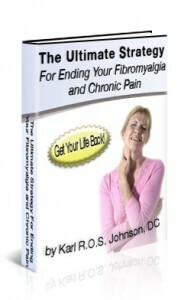 Or for more a detailed understanding of fibromyalga, download and read my eBook “The Ultimate Strategy For Ending Fibromyalgia and Chronic Pain” by filling out the form at the top of this page Now!